We are delighted to announce that the Castiglion del Bosco Brunello di Montalcino 2012 and the Millecento Riserva 2011 have been awarded outstanding scores by world renowned critics James Suckling, of JamesSuckling.com, and Monica Larner of The Wine Advocate. 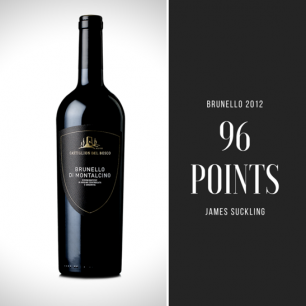 The Brunello di Montalcino 2012 was awarded 96 points with the tasting note: “It shows pure and fresh fruit that many others don’t have. Also, there are plenty of linear tannins. Precise and beautiful. Medium to full body. Persistent finish.” The Capanna vineyard, where this beautiful wine comes from, is unique in Montalcino for its terroir and elevation. The wine is aged for 24 months partly in barriques and partly in French oak barrels between 30 and 50 hl capacity.